One of my favorite ways to serve leftovers is on a baked potato. Italian, Southwest, barbecue or Mediterranean flavors- it doesn’t matter, they’re all great on a baked potato. 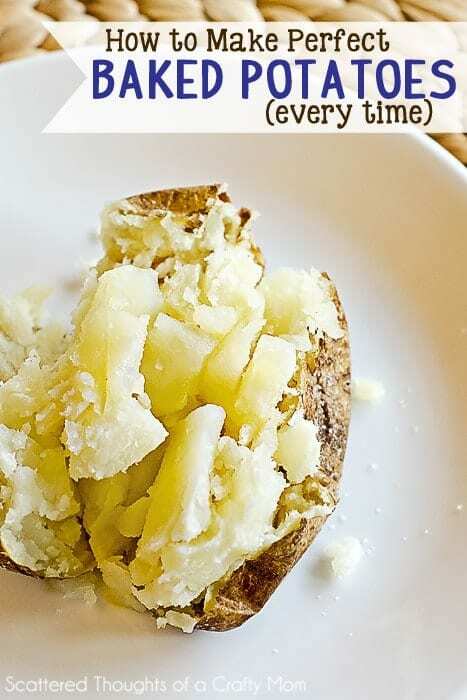 I have great way to bake potatoes in the oven, and wanted to share my simple method to get the perfect baked potato every time! When choosing your potato, make sure to use a good baking potato such as a russet potato, (russets have high levels of starch and are best for baking and mashing.) Try to choose potatoes that are similar in size, this will help keep the potatoes cook evenly. Remove any eyes (sprouts) and cut off any discolored spots. Wash potatoes using a scrubber and pat dry. 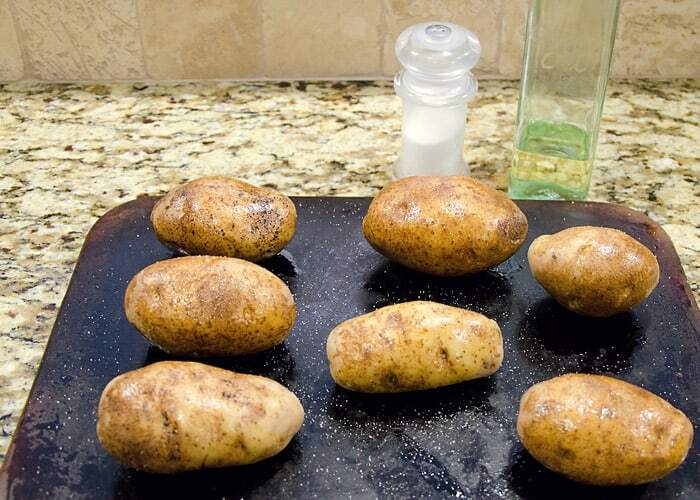 Place potatoes on a cooking stone or baking sheet. Drizzle with olive oil, and turn potato in oil to ensure evenly coated. Sprinkle with salt. Use a knife and make two to three cuts in the skin. Cook potatoes for 40 to 55 minutes depending on the size. At 40 minutes use a thermometer to check the potatoes, once the internal temperature reaches 210 degrees they are ready! Since the kids are at their cousins for a few days, baked potatoes are on the menu tonight! Hubby and I are having baked potatoes with Chicken, salsa, cheese and sour cream for dinner tonight. Yummy! « Tiered Pillowcase Dress For the 4th of July! These are very helpful hints on how to bake a potato! Those are tricky spuds sometimes!I guess it also depends on the season because you can find some that are good for anything and then…you know…the bad ones of the crop! Thank You for sharing! I came over to visit you from the Sugar Bee Craft Party! Thanks for sharing a few weeks ago I was scouring the net looking for the easiest way to bake a potato, I will try this for sure! 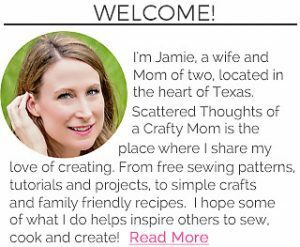 I would love for you to share and link up at my weekly TGIF Link Party if you haven't already this week. Your favorite posts, most popular, recent or new! The party is open every Thursday night and closes Wednesday's at midnight. Followed by (Not SO) Wordless Wednesday! http://apeekintomyparadise.blogspot.com/. I would be honored if you join us! Have a wonderful week! It has never occured to me to use a thermometer in a potato. Great idea! Great tip! Thanks for sharing at Project Inspired! Very helpful hints! Thank you for sharing at Sharing Saturday! !